7 years ago I posted this "take off" of a famous french impressionist painting at the 2012 Olympic site. I still think it is brilliant. 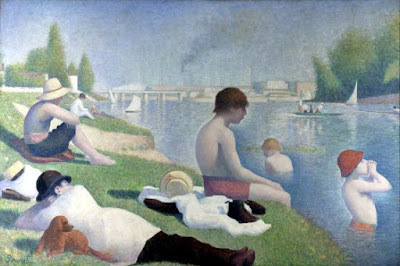 Bathers at Olympiques. I wonder if we can recreate it again with current Queen Elizabeth (Olympic) park users?